In the Country Heat Deluxe Package, Autumn includes everything in the base package along with 2 slightly more advanced cardio dance workouts, plus an all new line dance. And to make your meal prep even simpler, you’ll get a second set of portion control containers plus a large container, perfect for taking your meals on the go. Order now and get the Dance Mash-Up bonus workout DVD, a $19.99 retail value. 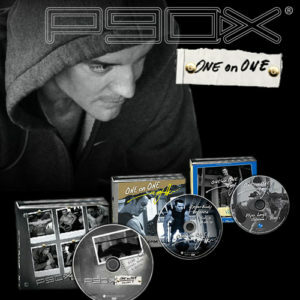 BeachBody has provided Intense Fitness with a limited supply of this bonus Country Heat DVD. 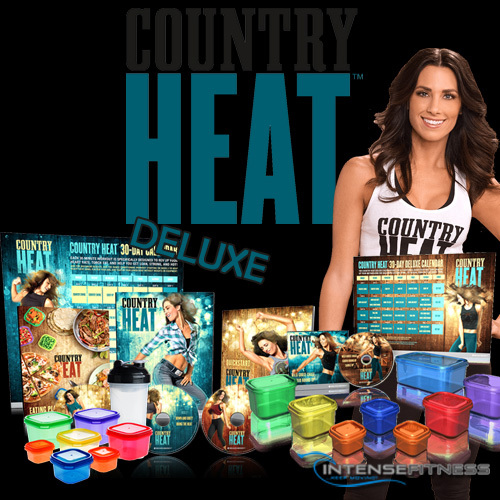 We are giving them away with each order of the Country Heat Deluxe workout. You’ll get 6 high energy, low impact routines that help scorch calories and incinerate fat in 30 minutes max. And every workout has a step-by-step breakdown of all the moves, plus a modifier to show you how to make the moves even easier. Kick your metabolism into overdrive with this pulse-pounding dance routine set to songs like “Save a Horse (Ride A Cowboy)” and step up the fat burn. You’ll have to dig a little deeper into moves like Body Roll and Savannah Stomp as Autumn works every muscle to tighten and tone your entire body. "Cowboy Up!" Autumn’s going to teach you her original choreography in this line dance that you can take straight to the dance floor. Now you’re in control of your food. These color coded containers help you eat what you love in just the right amounts so you can lose weight safely and sustainably. This large container is the perfect to go size for work, school, or any busy lifestyle. Use it to mix your separate Country Heat containers into one convenient, perfectly portioned meal. You’re ready to go! Autumn planned this rotation to fire up your metabolism for maximum calorie burn and fat loss to help you reveal your hottest body ever. Now you’re in control of your food. These color-coded containers help you eat what you lovein just the right amountsso you can lose weight safely and sustainably. Here’s the truth: Diets don’t work when you feel deprived. So Autumn found a simple way to help you lose weight, while still letting you enjoy the foods you love. Her Eating Plan and recipes make it easy. And you don’t have to count calories, buy special foods, or stay home when everyone else is eating out. Autumn wants you to jump right in and dance from Day One. This guide will show you exactly where to startand what to do next. Autumn put all the workouts in just the right order to keep you in the groove and motivated, so the results keep coming. And there’s tons of variety so you’ll never get bored. Just follow the calendar, and you never have to guess which workout to do each day. Hit the dance floor with Autumn’s all original choreography set to a brand new song, written by a top country exclusively for Country Heat! COUNTRY HEAT IS A GUARANTEED GREAT TIME OR YOUR MONEY BACK! We’re so sure you’ll love Country Heat, we’re giving you our no-risk 30-Day Money Back Guarantee. Try all the workouts. If you’re not loving every minute and seeing the weight loss results you expect just return the kit for a full refund of your purchase price (less s&h). What do you have to lose? It’s totally guaranteed!